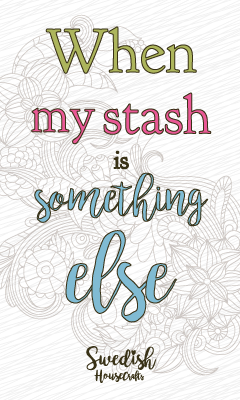 Morning everyone and I hope you are well on this beautiful day. 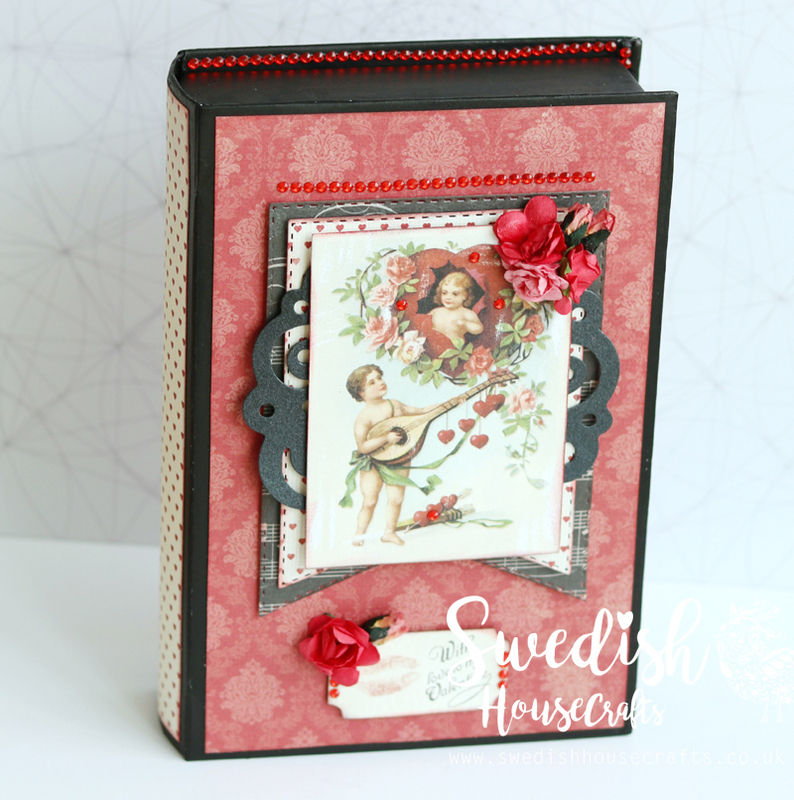 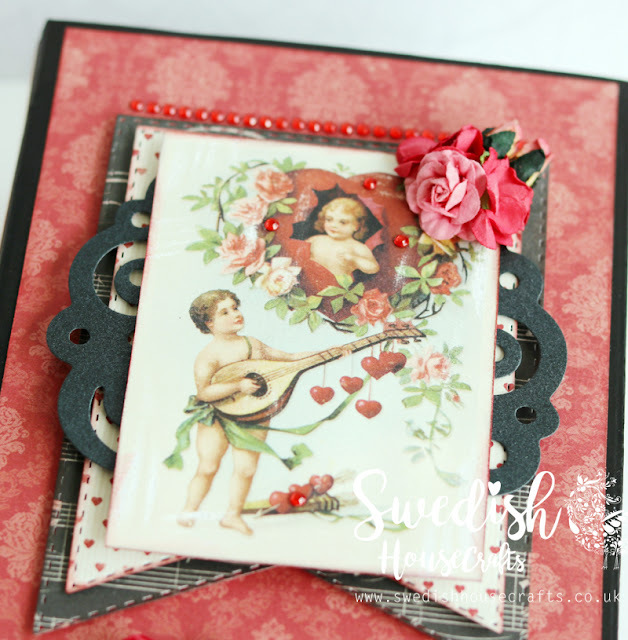 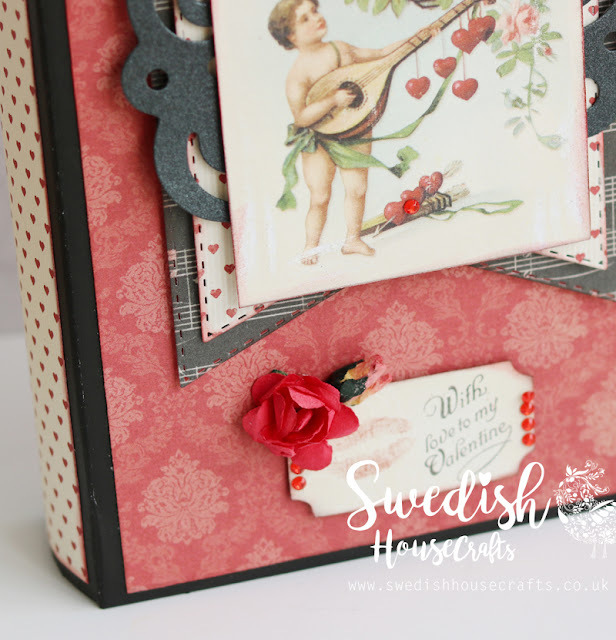 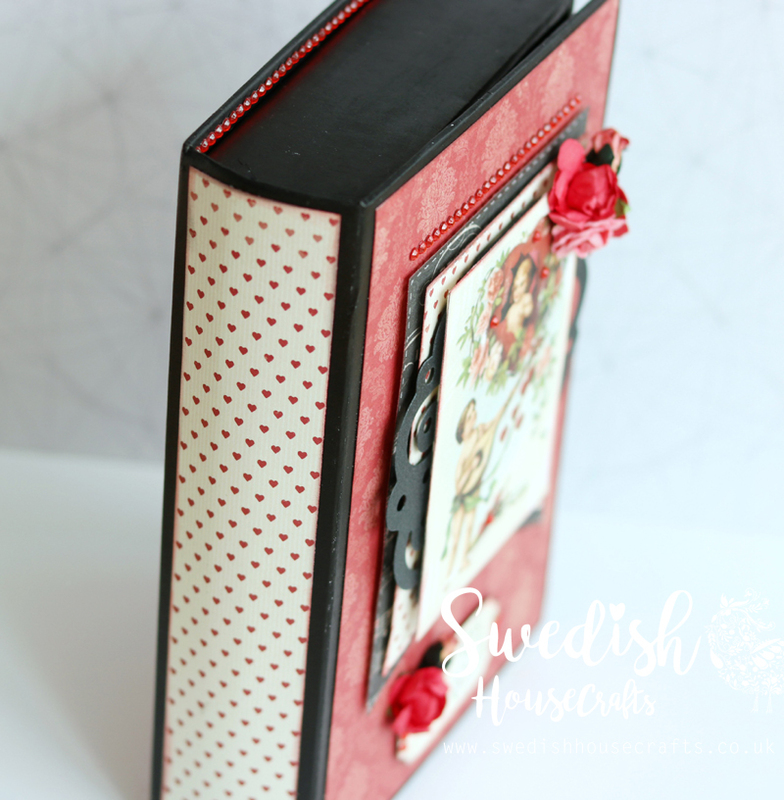 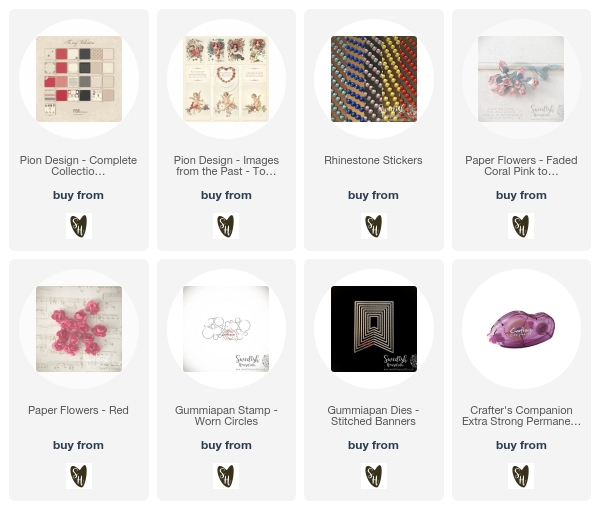 June is a very popular wedding month so I was inspired to use the gorgeous To My Valentine collection from Pion Design. 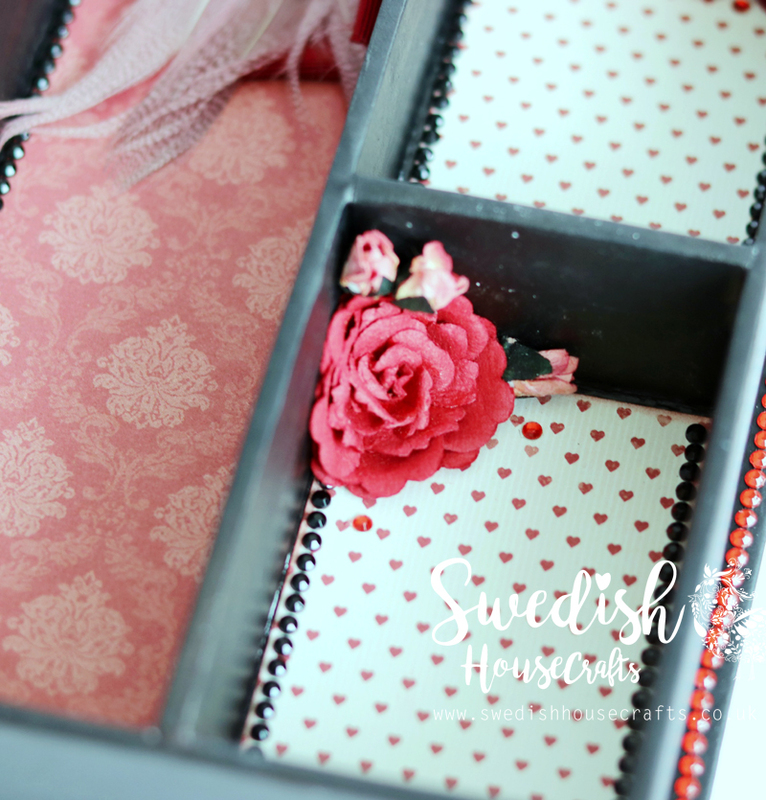 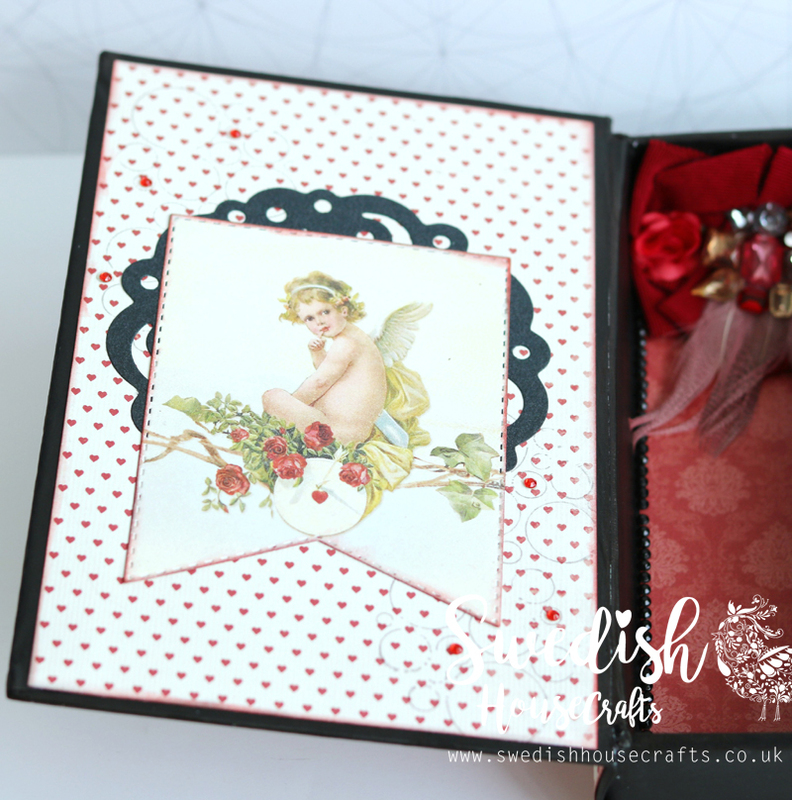 I decided to alter a small piece of paper-mash jewellery box and transform it into a romantic keepsake box. 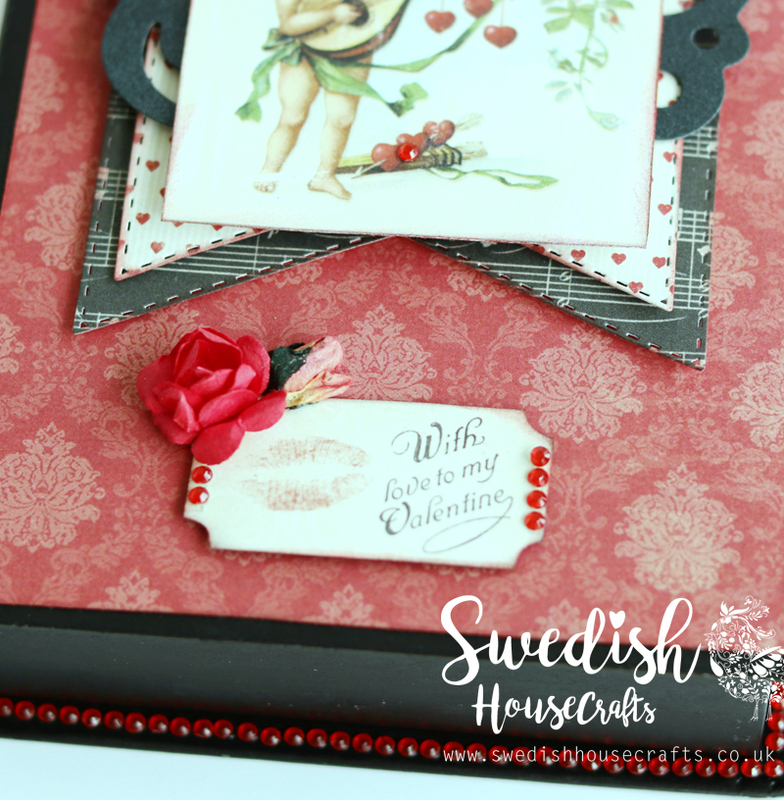 This collection is ohh so dreamy and I fell in love with those rich red and black patterns. 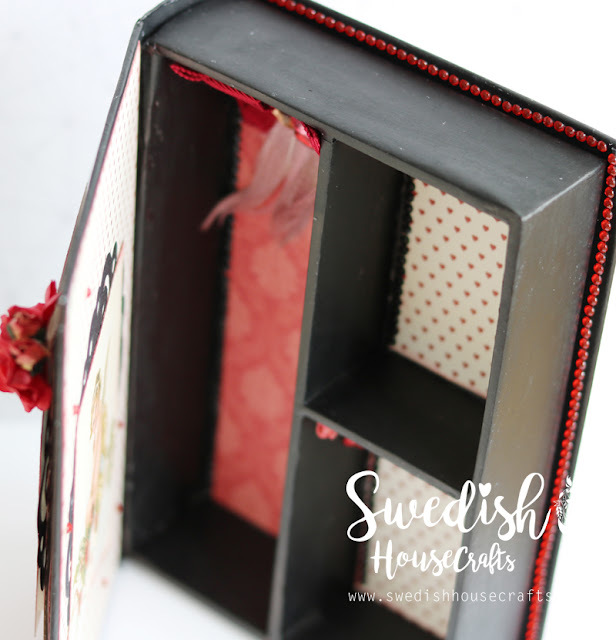 Even though I normally do not associate black with romance I wanted to create a striking background for the papers by using black gesso to cover the box. 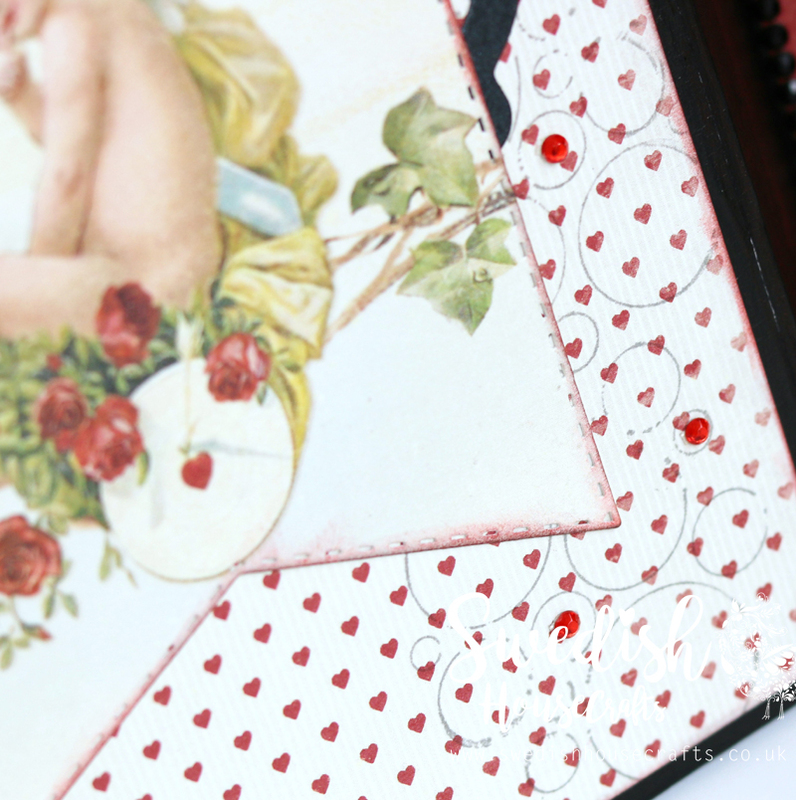 By using black as my base I was able to highlight the beautiful reds and cream in the collection - plus the cut-outs are utterly gorgeous against the striking background. 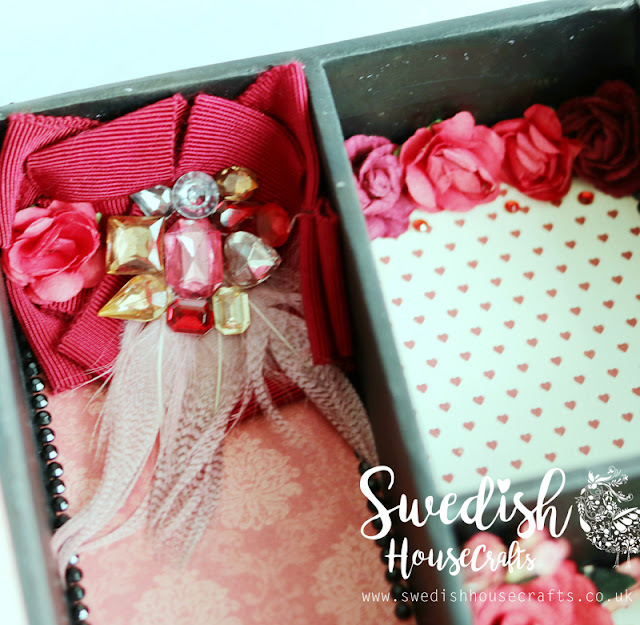 The paper flowers were the perfect dimensional touch to the inside of the box - and by keeping the decoration as minimal as possible I am able to use the box to store small items that are dear to me. Your Valentine box is amazing Anna.